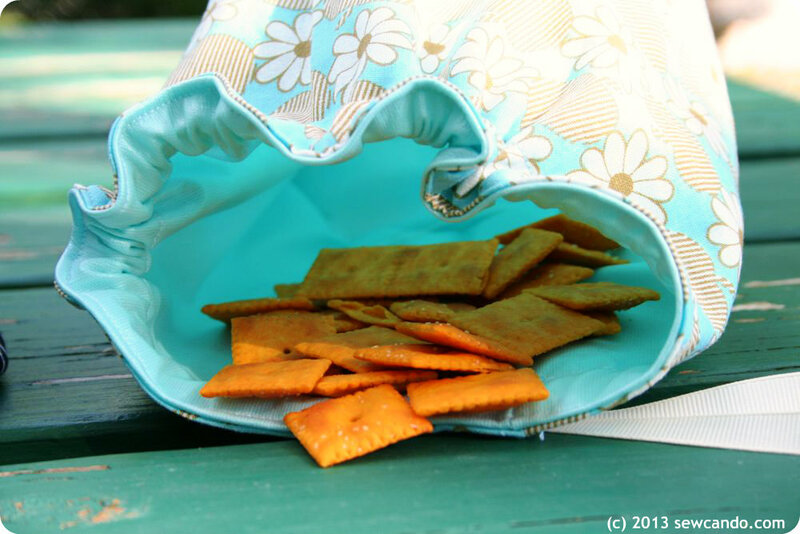 Today I'm excited to share how to make my Ultimate Reusable Snack Bags. 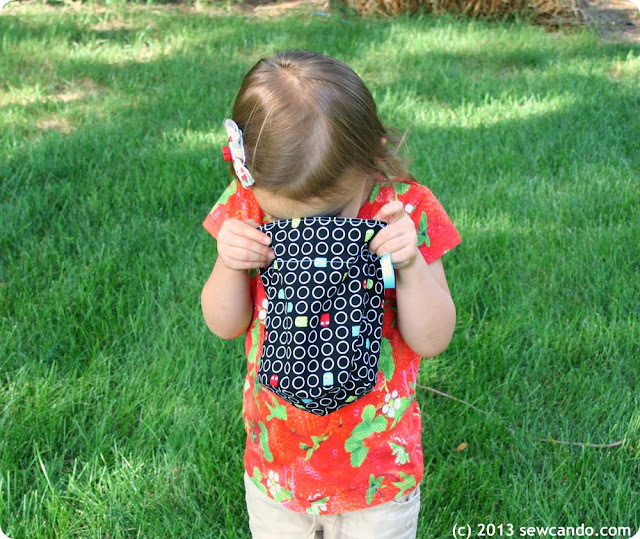 They have a design that works great for adults and kids, AND are made from fabric tested & deemed food safe. 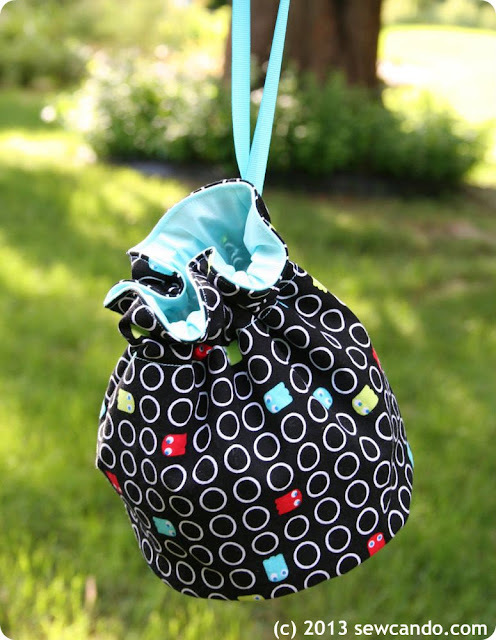 The looped drawstring won't ever slip out and makes them easy to carry or hang on things like strollers. And to clean them, just wipe out or pop them in the washing machine. 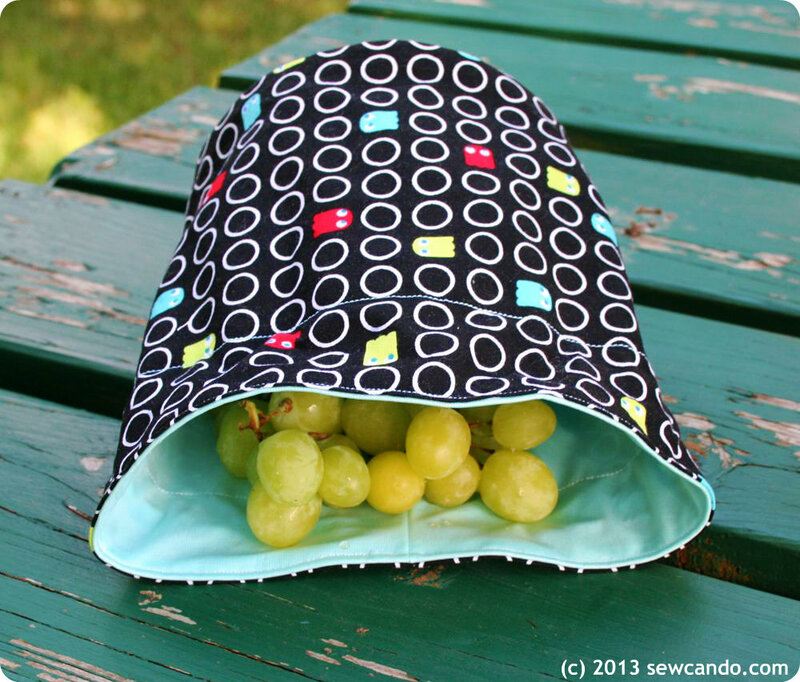 There are a lot of snack bag tutorials out there and many use a variety of materials to make them reusable, but I've discovered the ideal fabric to make them washable, waterproof and mostly importantly, confirmed food safe. What's this magic material? Eco-PUL™. Eco-PUL™ is polyester knit fabric that's been coated on one side with a thin layer of thermoplastic polyurethane (TPU). It makes the fabric both waterproof and breathable. Traditionally PUL used for making cloth diapers & training pants, but can also be used to make bed pads, waterproof pet items and for lining bags. What makes Eco-PUL™ different is that it's made with a "green" adhesive that is solvent-free and environmentally friendly. It's been tested and found free from lead, phthalates, and BPA, so it is safe to come into contact with food. It's the only waterproof fabric I've come across that has that distinction. It's even anti-microbial. And it can be machine washed in hot water (heck, it can even be auto-claved! ), so I feel very safe letting my kids, or anyone else's, eat out of these handmade bags. Start by cutting a 6 inch diameter circle and a rectangle that is 8 inches high by 18 3/8 inches long from both the Eco-PUL™ and the outer fabric. I know a lot of people will ask about the Space Ghosts print I used. It's now retired from the manufacturer (being so cool, I can't imagine why), but it's still available here. With coated sides facing, pin together the circle and the newly made cylinder. 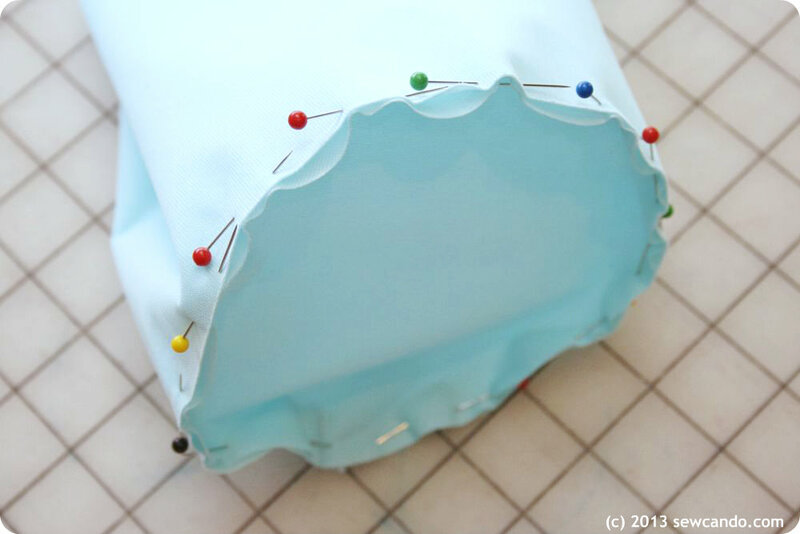 Carefully to pin close to the edge (so no pinholes will be outside the seam allowance). 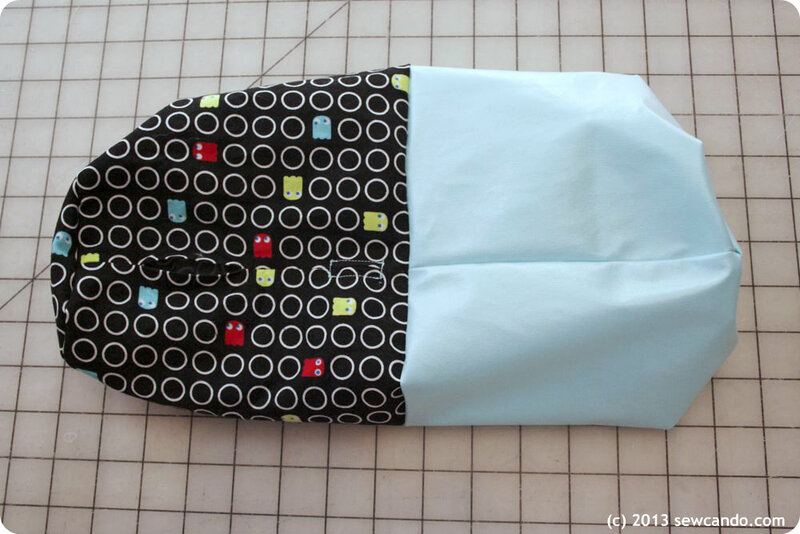 Stitch together with a 1/4 inch seam allowance, going slowly to prevent any slippage or puckering. Clip into the seam allowance, careful not to cut into stitching. This will add a little give to the curve. Set lining aside. Now take the outer fabric and fold, but make markings 1 & 2 inches from top and 4 & 6 inches from top. 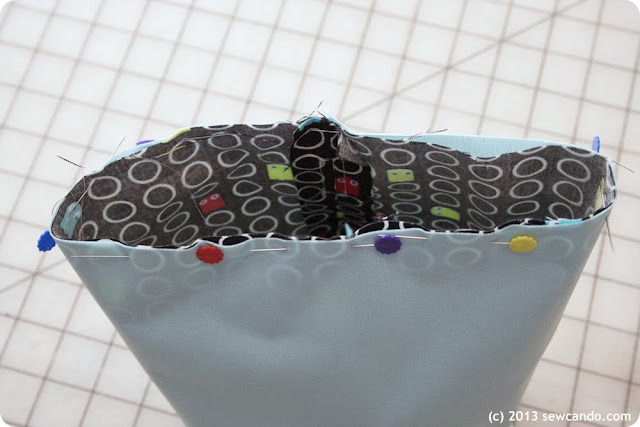 Leave the gaps between them unstitched to create the drawstring casing opening and a gap for turning when outer & lining are sewn together later. With right sides of both cylinders facing, pin together close to the top edge, lining up the seams. 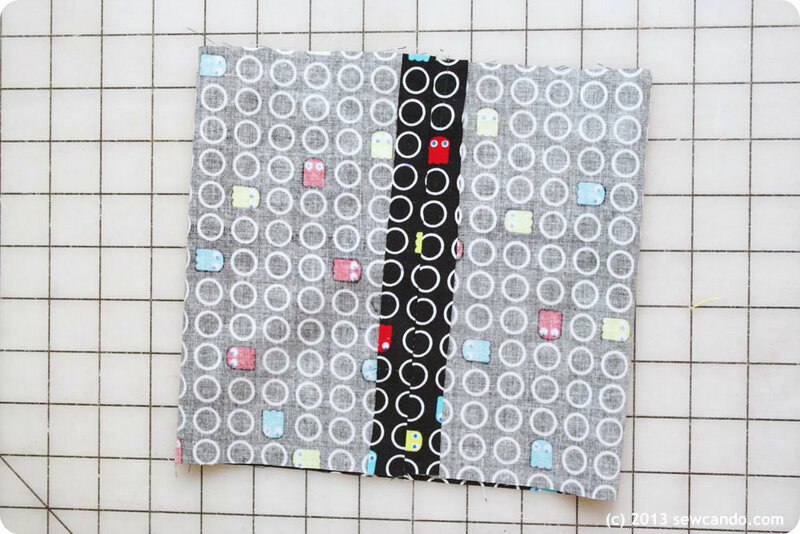 Stitch together all the way around with another 1/4 inch seam allowance. 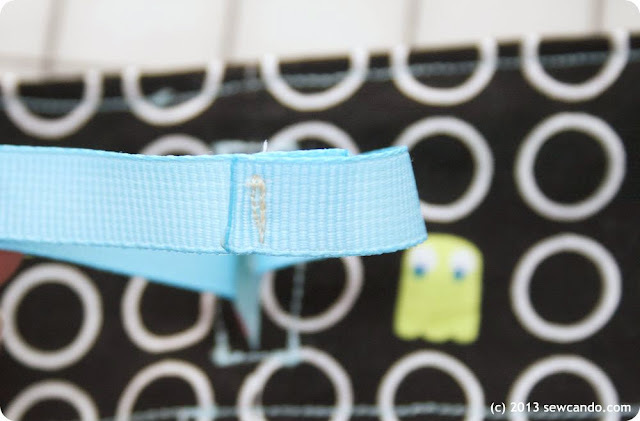 Cut a strip of grosgrain ribbon about 23 inches long and heat seal the edges with a lighter. Using a safety pin or bodkin, insert it into the casing and snake it all the way around. 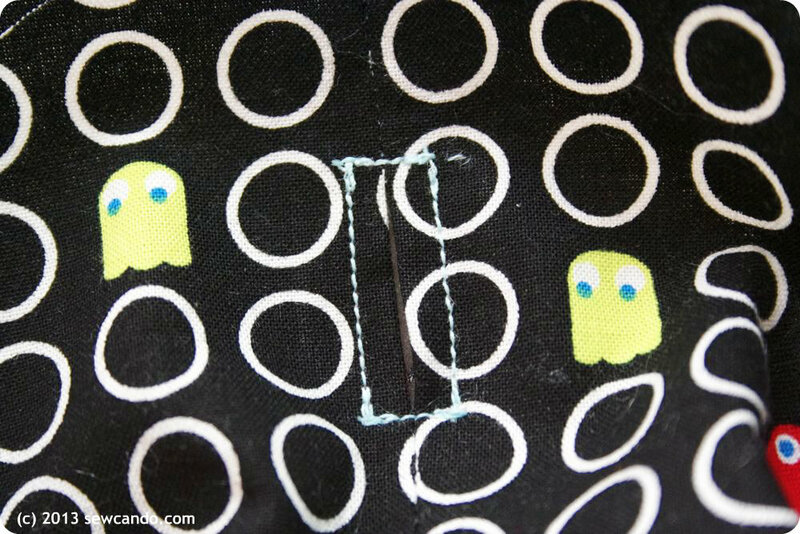 Overlap the edges and stitch together. 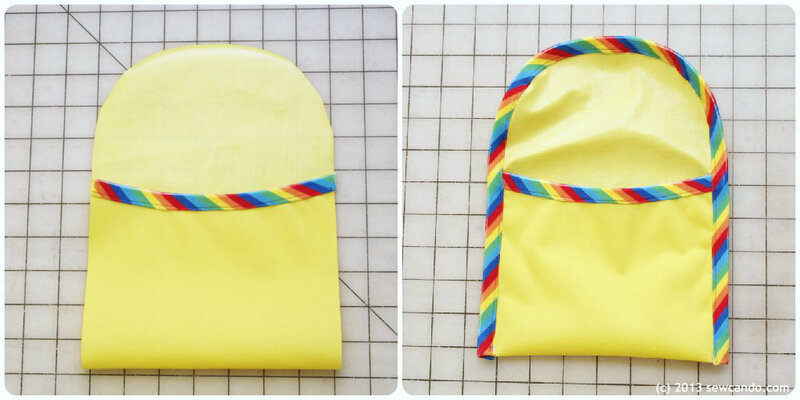 The ribbon is now a loop, so pull around so that the stitched together ends are hidden inside the sack. Hand sew the outside gap closed with a slipstitch. Spritz with water and dry on hot in the dryer to seal up the stitching holes (this makes the seams more watertight). Now it's time to fill them with snacks! I've also used this fabric to make an even simpler version of my popular Super Simple Sandwich Bag tutorial. 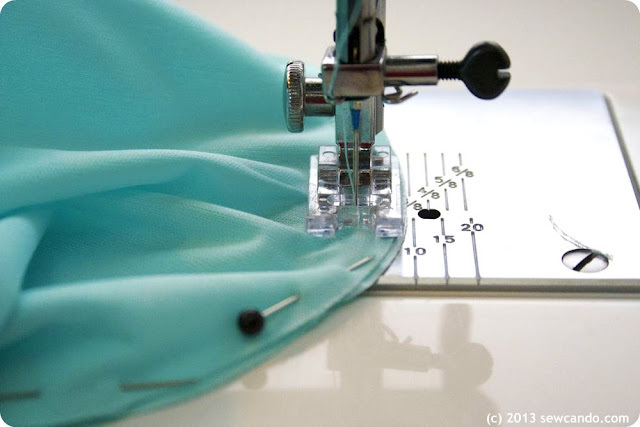 Instead of cutting a separate outer & liner, all that's needed is a single cut of the Eco-PUL™ and some FOE (fold over elastic) for the binding. I was not financially compensated for this post and purchased all items shown myself. The opinions are completely my own, based on my experience. I thought this material was worth sharing with other sewing enthusiasts. What a coincidence that you are sharing this tutorial! My friend JUST asked me for a tutorial to make reusable food bags and a place to get the fabric. Thanks! So glad this helped Diane! What a coincidence. 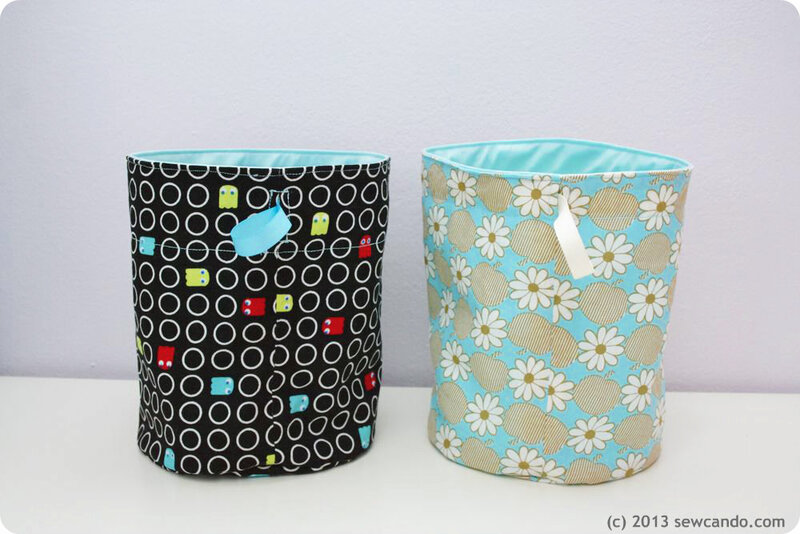 I just heard about PUL fabric from a website making sanitary pads for girls in poor countries. Love hearing how it has other uses, too. Great idea. Didn't know about PUL fabric. What a great tutorial. Fabulous idea!! These would come in so handy! Thanks for linking up at Whatever Goes Wednesday. We'll be featuring this at Someday Crafts tomorrow. Pretty and practical. 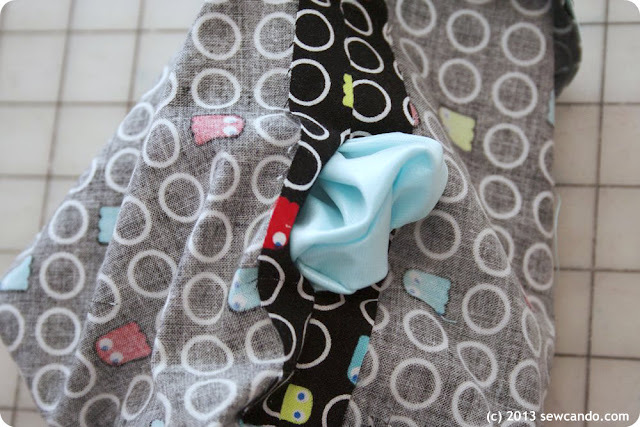 I love the cute design and the great ribbon/fabric combinations! I love this tutorial! 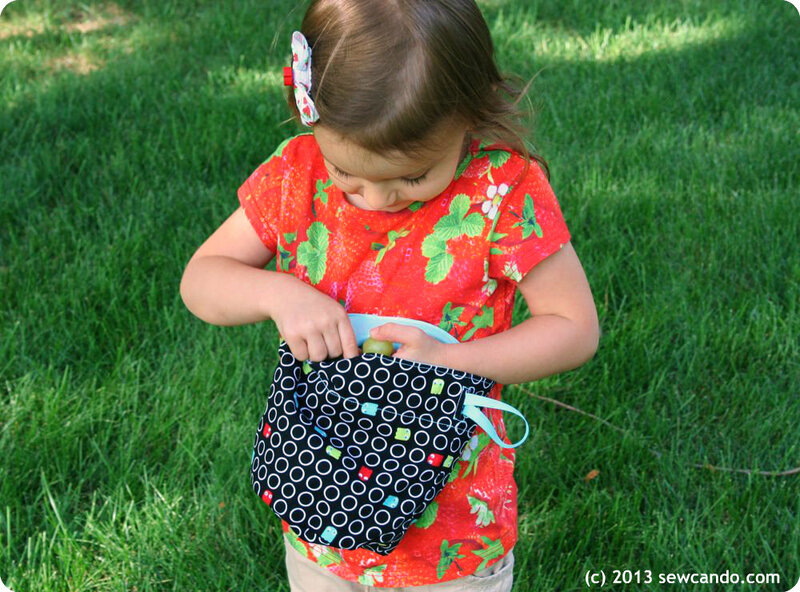 I was just thinking of where I could find a tutorial for a snack bag for my little girl. I can't wait to try it! Thank you so much for posting :) It's great! Great tutorial. That bag is really cute! Is the regular PUL not considered food safe? Maybe there is no difference, I bought some for a project that didn't pan out and this would be a great way to use it up! Thanks Bethany. 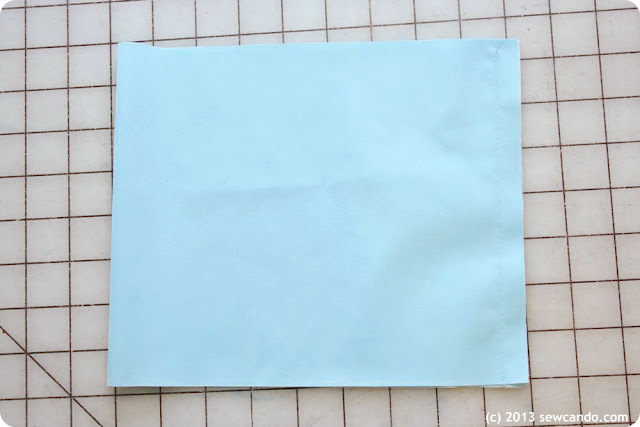 Traditional PUL has no "it leeches dangerous chemicals" vibe like oilcloth, but it has not been tested for food safety (neither has ripstop or laminate which is what most people use for bibs, placemats & snack bags). ecoPUL is made with solvent-free adhesive and has passed all the tests for lead, BPA, phthalates to comply with the FDA's regulations, so it definitely seems safer than the non-tested fabrics. Personally I've used the others in the past, when there was no confirmed food safe alternative, but going forward I only plan to use the ecoPUL for items coming in direct contact with food. These are VERY cute and this is a great tutorial! Ty so much for sharing and linking up to Thrifty Thursday! My sister-in-law made bags like this for the young ones in our family and I remember how much I liked them but always forgot to ask for the pattern. Well, here it is! I shared it with our group members on Cafemom Holiday and Party Crafts with a link back to your blog for the tutorial. I also would like to share this on my blog with a link back here. Thanks so much for sharing this wonderful craft! Please excuse me if this is a simple question. How do I go about sewing up the whole that was used to turn the right sides out? Thank you! These would be perfect for my boys (and myself)! Thanks so much for explaining the food safety of PUL. I have been hesitant to use any of it. Thanks for this. 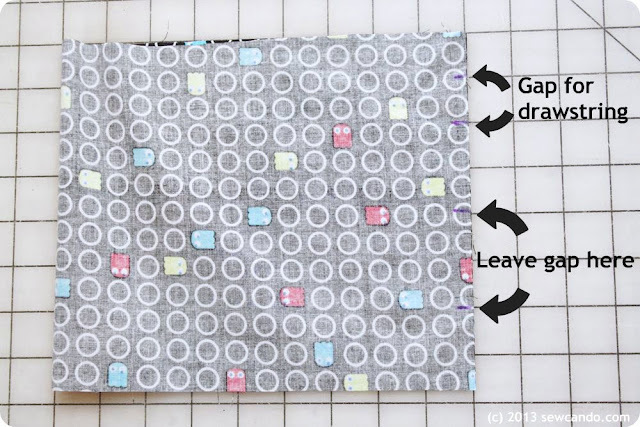 I had seen other tutorials but wondered about the washing and the material. These are great! Cheryl, your tutorial is comprehensive and amazing! I need explicit instructions and visual cues. You're an expert. These look fun and are extremely useful. Thanks so much Sandy. I'm that sort of person myself, so I like to be as clear as I can - I know how frustrating it is when you can't visualize a step! I've used mine this week and I think they're one of my favorite food containers now! Lovely project! Very neat and easy to follow. Great tutorial! I was also just wondering what to make with my FOE since I decided not to make covers. This is too cute, Cheryl!!! I love this project! Lovely pics! Thanks so much for sharing the great tutorial! Cheryl. Can you please tell me which side is the "right" side of PUL. 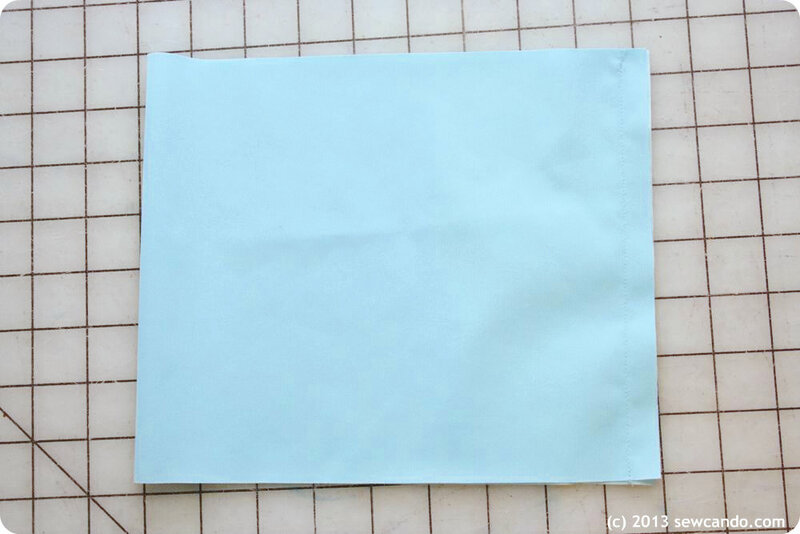 Should the laminate side be the side you see when the bag is finished? Great question Kathryn. 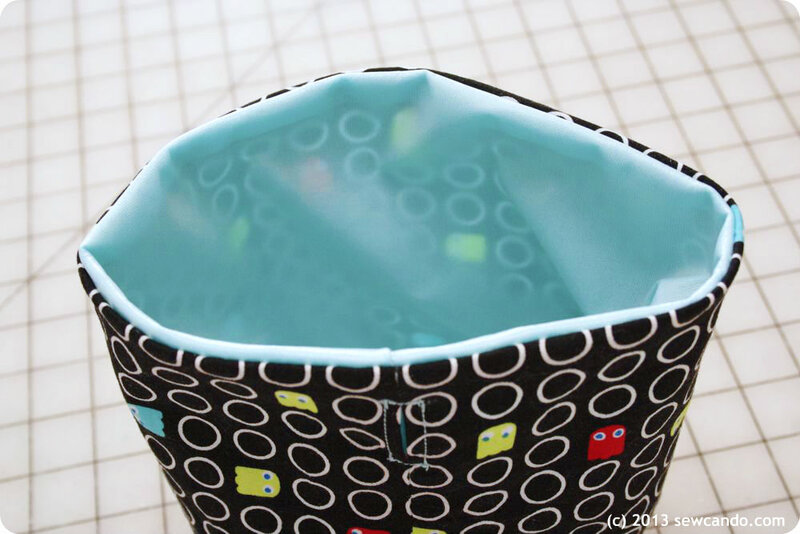 Usually when using it for things like cloth diapers you want the shiny side to be the "wrong" side and not show, but for snack bags (when you want them to be wipeable), you want the shiny side to be the side you can see when finished. I should say that I am a beginner and the directions you gave were very precise. It was easy for me to follow. I just finished making one today. I didn't have any grosgrain ribbon on hand, so I made bias tape out of that same fabric and it worked perfectly. I also found it to be big enough to double as a lunch bag, so I took some of the same fabric and made a matching sandwich bag with a velcro closure to put in it. I am thinking of making a few more for my kids to use. Thanks for a great tutorial! That is so wonderful to hear! My aim is always to make projects easy to understand and I love knowing people have made items with my tutorials - thanks so much!! I made one of these for my first grader to take her snack to school in, and she's gotten a lot of compliments on it from her teachers. So.. I made six of them this week for Teacher Appreciation and filled them with treats for her main teacher and her "extra" teachers (music, gym, art, etc) and they all seemed to really love them. They turned out super cute. :) I had my daughter write thank you tags that I threaded onto the ribbon before I sewed it together, which turned out well, if anyone is ever gifting them! Thanks for sharing this Kisha - they do make a great handmade gift. Glad it's been a hit! 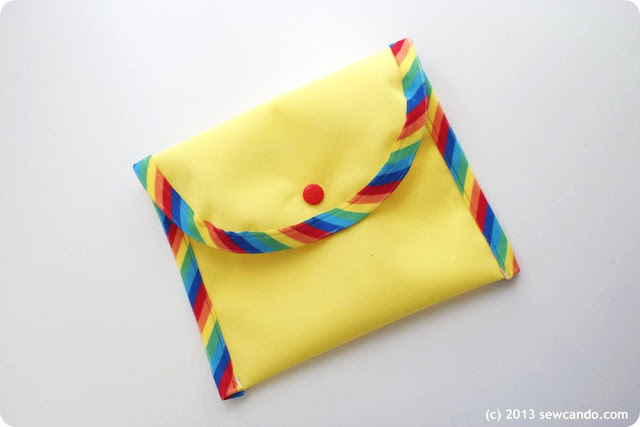 These bags look very nice and I am looking forward to making some. My question is. I have printed Eco Pul so ,I don't need the cotton print layer. 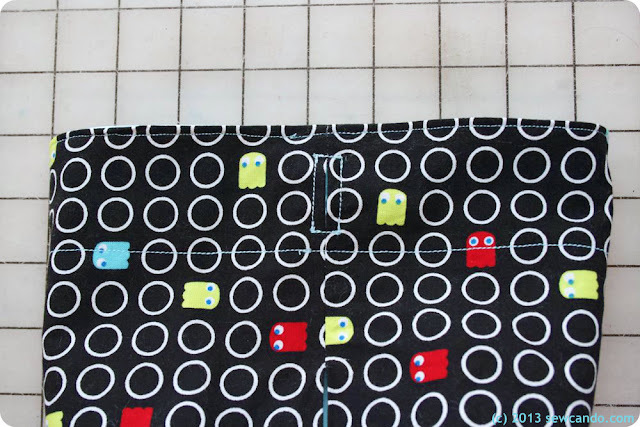 Could you tell me how to modify it so I would be finished after sewing the pul? Please and thank you. The bag would be different and unlined then. 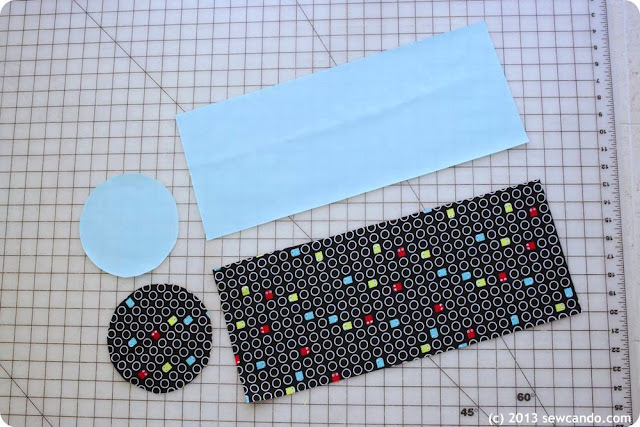 Without having to write out an entirely different tutorial, the quick answer is to cut the piece height an inch or two higher and fold it down facing the wrong side instead of where the outer & inner bags are stitched together at the top edge. That would be how you would make the casing for a single layer bag. 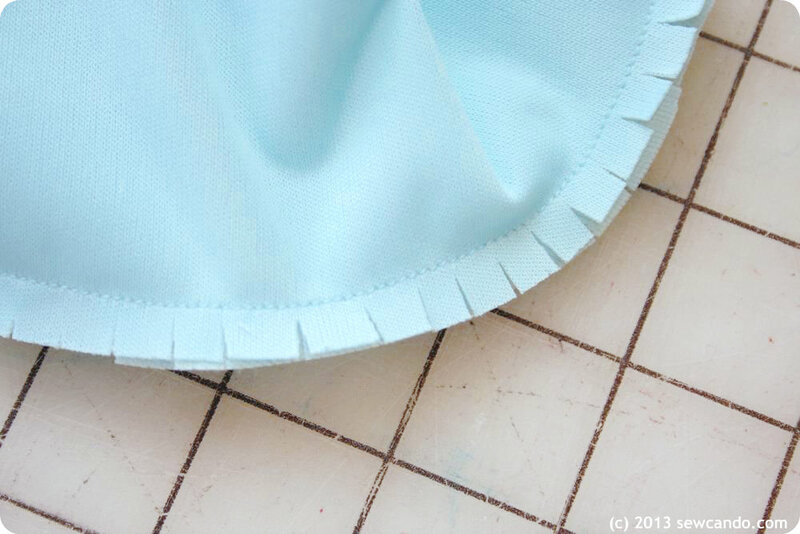 Note that the raw edges of seams would be visible on the inside, but PUL doesn't fray so it's just an aesthetic issue. 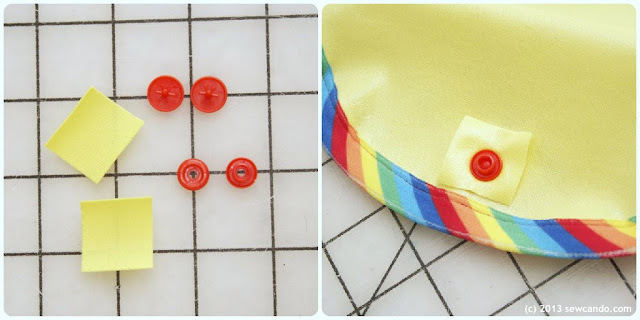 Think I'm going to do this as a sewing project with my 9.5 boy who has been asking to "help" me with sewing projects. It will be a good starting thing - best of all I have all the fabric lol! Maybe we'll use it for the 3 year olds potty training stuff to put in her very own activity & Swimming Lesson bag.... Thanks!